Aylesbury comedian and broadcaster Andy Collins, who writes a monthly column for this newspaper, has been nominated in the ‘Best Comic’ category for this year’s Great British Pantomime Awards. Andy said he was ‘chuffed’ to be nominated for the accolade aongside fellow funnymen Aiden O’Neil, Johnny Mac, Danny Adams and Tweedy. Writing on Twitter he said: “Can’t tell you how chuffed I am to have made it in to this category. “My fellow nominees are an incredible group of talented comics so just to be nominated is a massive buzz and achievement. 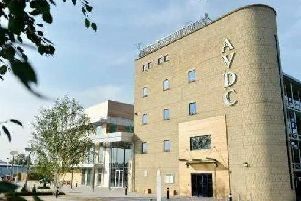 The winners will be announced on April 15 during a ceremony at the New Theatre, Wimbledon. Andy is a regular in the Waterside Theatre’s annual pantomimes and you can listen to him presenting the BBC Three Counties Radio breakfast show on weekday mornings between 6am and 9am.